Been a while since I just posted a doodle, soo... 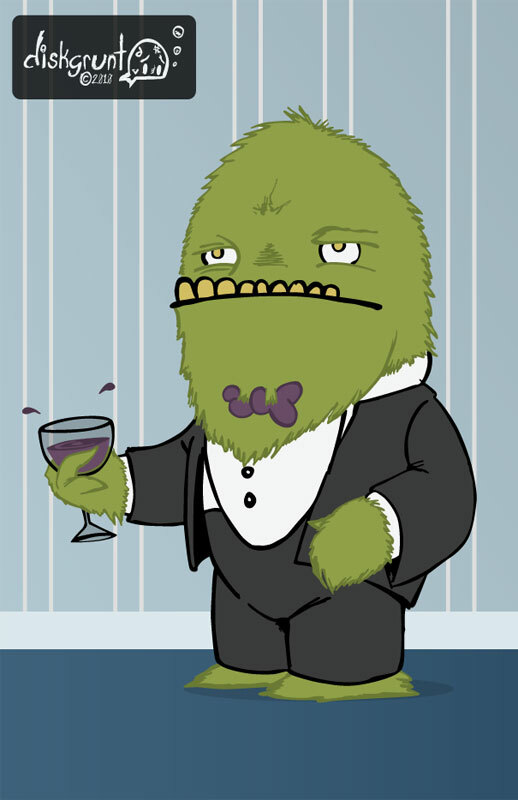 Please enjoy my fancy monster friend as he sips his wine. 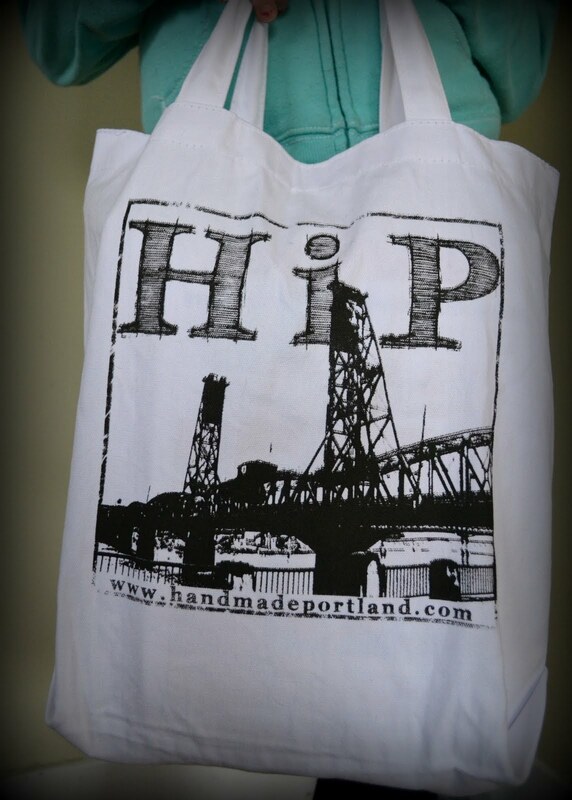 Just before the holiday madness Bettie, of HandMade In Portland aka HiP, paid a visit to The Pull to get some totes made. She's posted this great review over at her blog about her time with us and what you could expect if you want to get some screen printing done. HiP is a great resource for learning about Handmade vendors and events here in Portland! ** Update ** HiP is no more, Bettie has started a new site called Little Paper Cities as she focuses more on her love of photography. Be sure to check out her Etsy shop for prints and notecards in the near future. 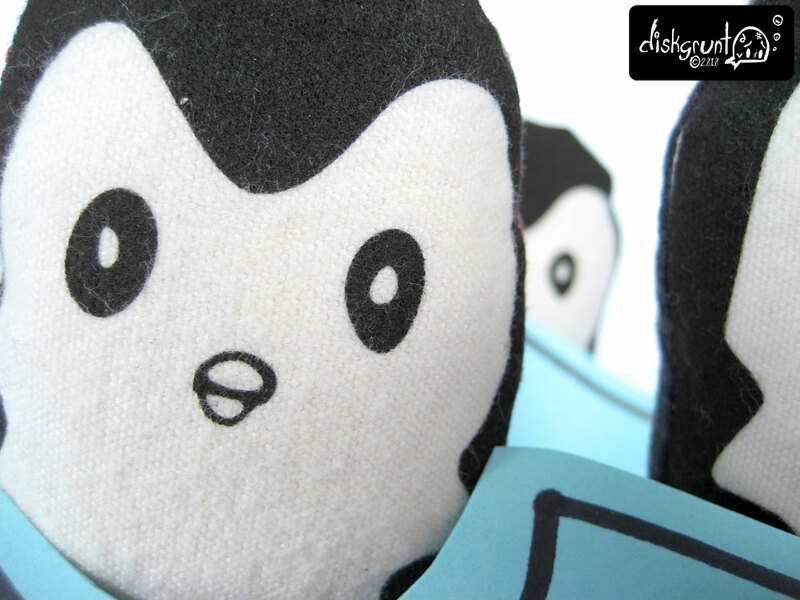 Those of you who came and saw CuriousDoodles and I got a sneak peak of my plushie toy collectable line, Stuffies! I've now added the Pengies and our beloved lil Monster to my etsy shop! 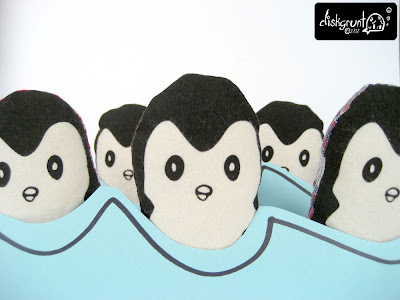 Stuffies are hand screen printed using water based non-toxic ink on organic fair trade cotton. This makes them oh so soft to touch and snuggle. The backs are carefully chosen reclaimed scrap materials, often cotton plaid flannels, or wool. 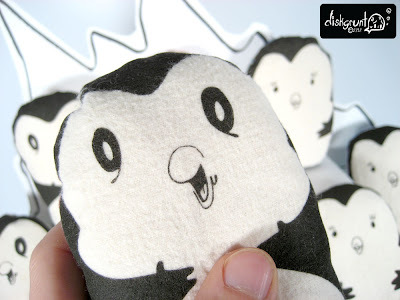 They are then machine sewed by me, and stuffed with a Bamboo based Natur-Fil® rayon stuffing. Finally they are hand sewn shut. It's been a lot of learning and work to get these lil fellers done, I hope you like them! 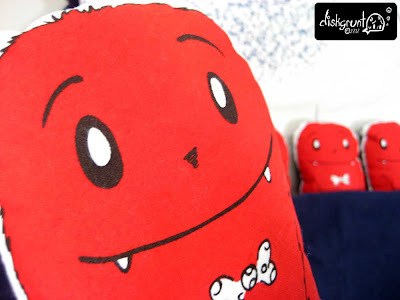 There's more Stuffies on the way... 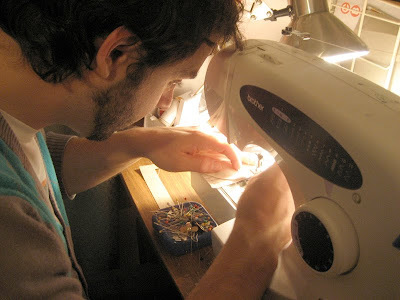 I wanna thank CuriousDoodles for all her help as I'm learning my way around the sewing machine. More soon!